There are so many indoor shops at major resorts and casinos now that even locals are venturing to the resorts to find that special "something". I prefer the outdoor places where I can people watch with a beer out on the patio. All your indoor, regular mall style cravings should be covered now, but how about some outdoor social venues and outlet store collections? We have lots of great Las Vegas Shopping places that you can go even if you don't feel like splurging on "things". There are great places for deals and eats! If you are really on a budget, try our budget beauty ideas. Tivoli Village Located in Summerlin which is on the Northwest side of town, this is similar to town square but a little more theme oriented. This is an upscale looking place with events, lots of dining and home of the David Barton gym. 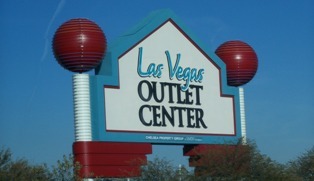 LV Premium Outlets - 875 S Grand Central Parkway, LV, NV 89106, near downtown Las Vegas and Fremont Street area. Are you looking for an Upscale Resort Shopping experience? Las Vegas Nevada Shopping is often known for its hotels and their elaborate interior storefronts. The wave is catching on and the number of these incredible places is growing quickly! Crystals at City Center Located at the heart of some beautiful resorts, this gorgeous place boasts high end dining and luxurious stores. Shopping in sin city is unlimited for the most part, practically any place you stay is going to have some type of shopping to attack! My fave is still Town Square Las Vegas, but I have a little one and it is a great family spot. Attractions Rides, roller coasters and thrills in town. Restaurants Famous chefs break ground here. The choices are endless. Beauty on a Budget Tight this year? My budget ideas on doing things your own way. Return to Las Vegas Things To Do from "Las Vegas Shopping".